Hospital MD - Who Is User X? Hospital MD - Who Is User X? 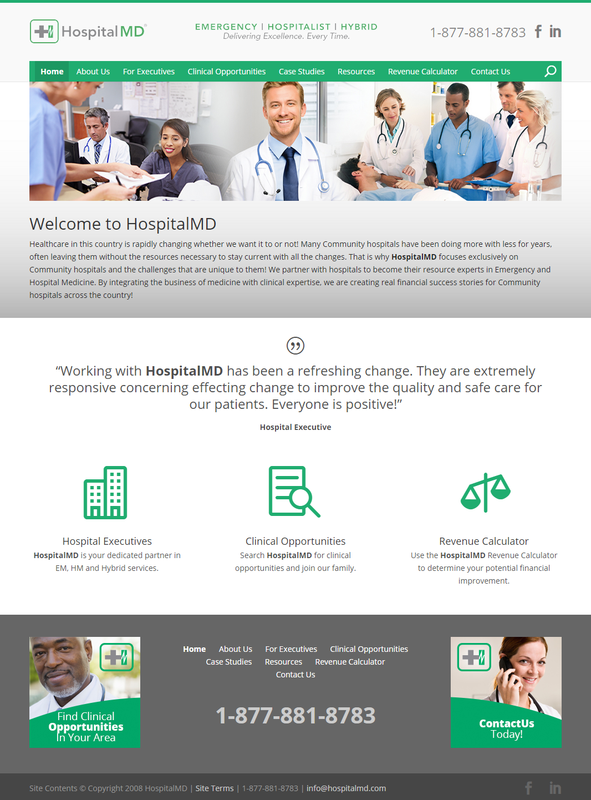 Hospital MD needed to consolidate it’s many subsidiaries into one platform to drive doctors and hospital staff to sign up and participate in their practice match model. We put together this beautiful website using WordPress and then added some custom plugins which allow them to easily add positions that their visitors can efficiently search for. The custom search engine includes a responsive map and custom search form which updates it’s options based on the positions that are available. This is clearly an example of how User X makes things easier. Be sure to contact us and find out how we can help you reach your goals too.